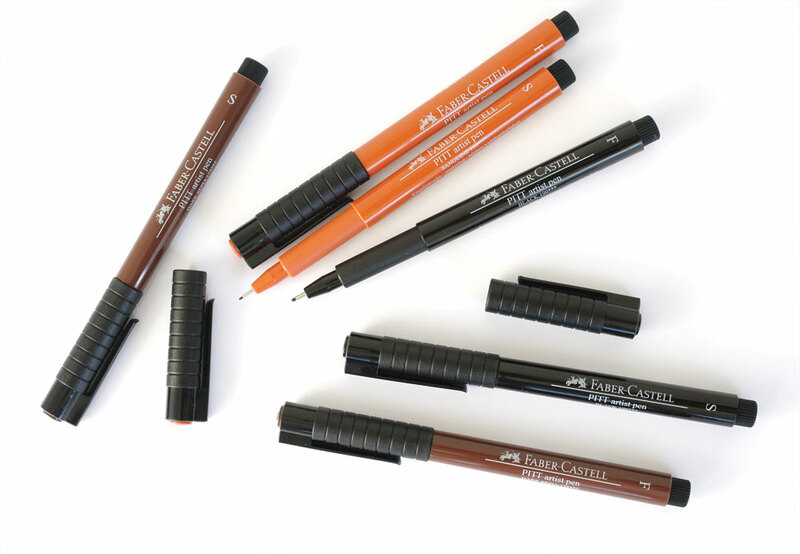 Faber Castell PITT artist fineliner pens combine the advantages of waterproof, lightfast drawing ink with the practical features of a reliable modern writing implement. PITT artist fineliner pens are available in 4 different nib sizes for producing fine, medium or broad lines. The black pen is also available in extra-superfine. They allow you to bring out finest details. 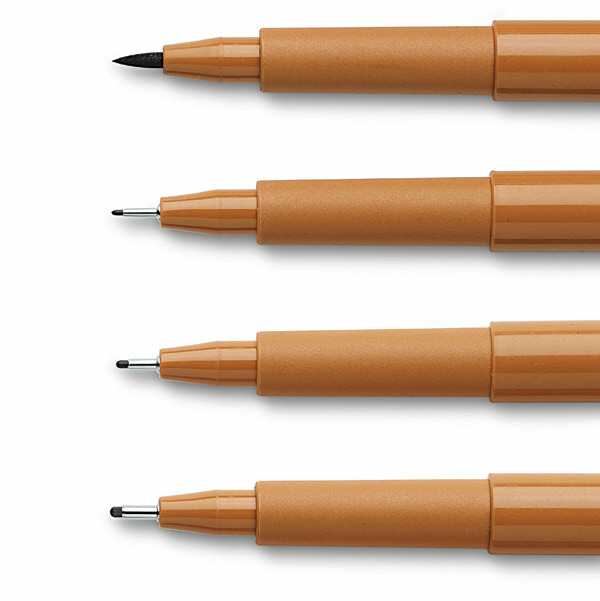 Pens are available in the colours sepia, sanguine and black.